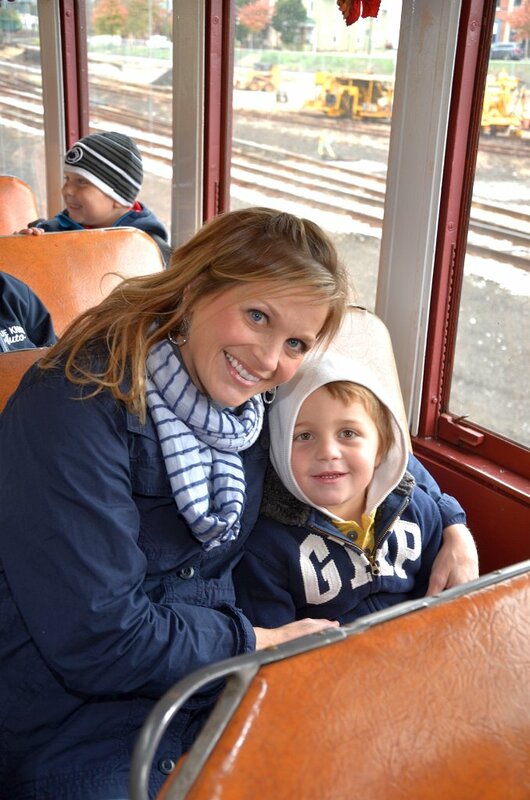 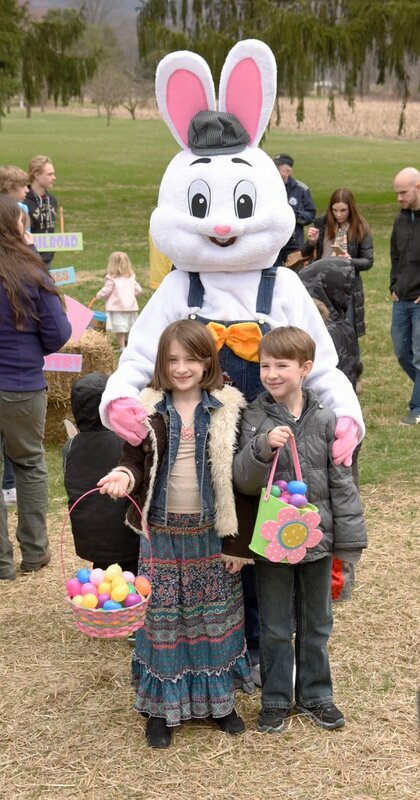 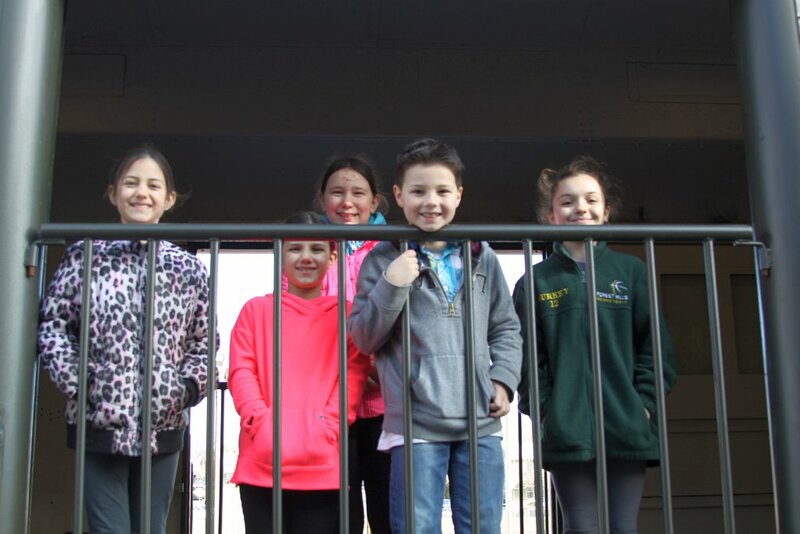 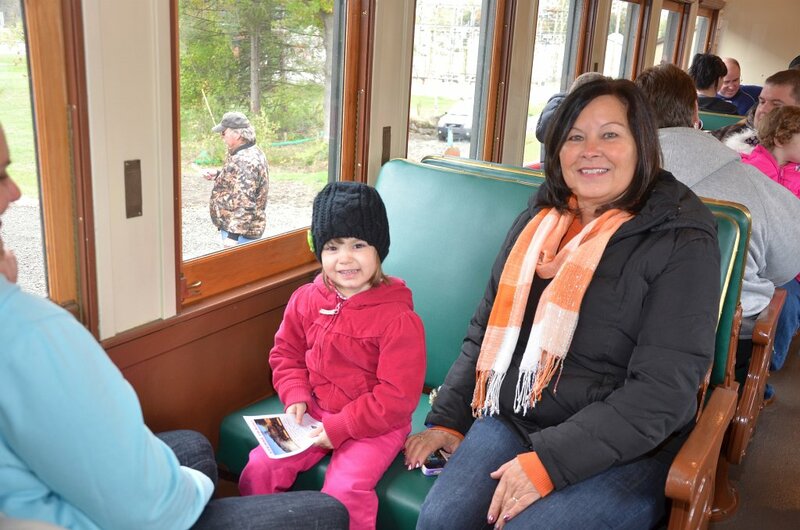 Hop onboard for a fun ride behind Number 11 from Hollidaysburg out to our rain-or-shine Easter Egg Hunt at Kladder. 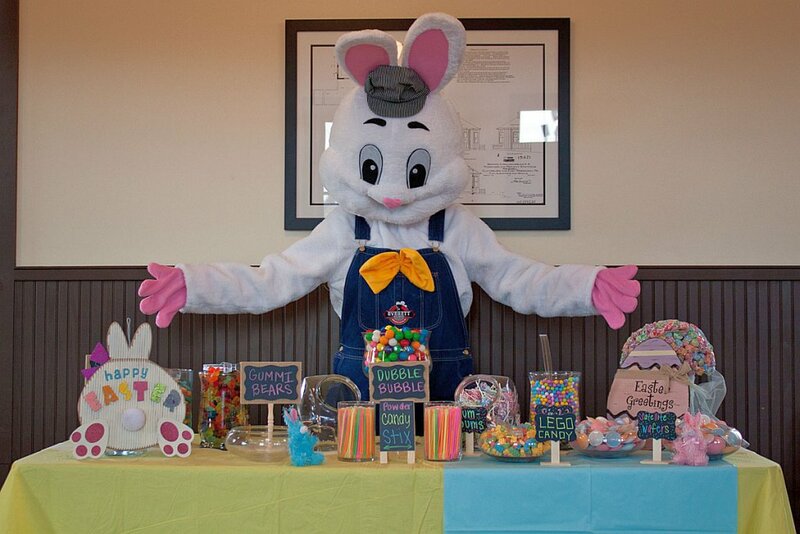 When you get back to the depot, candy awaits! 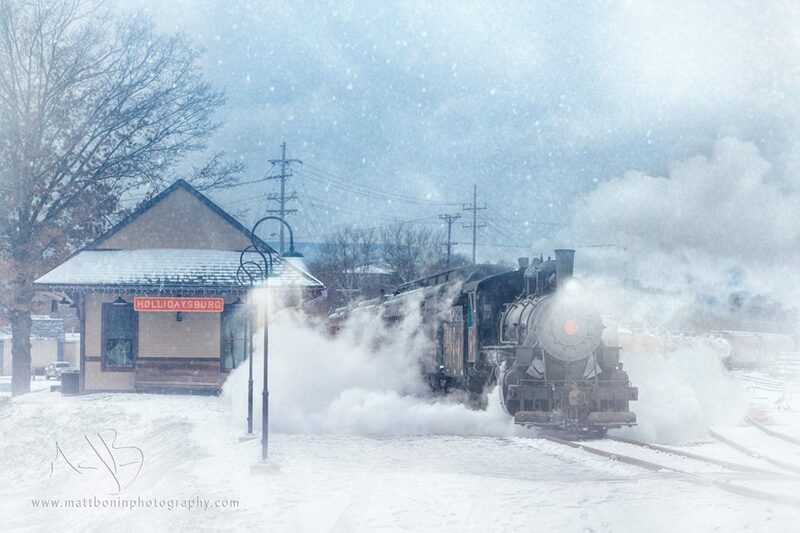 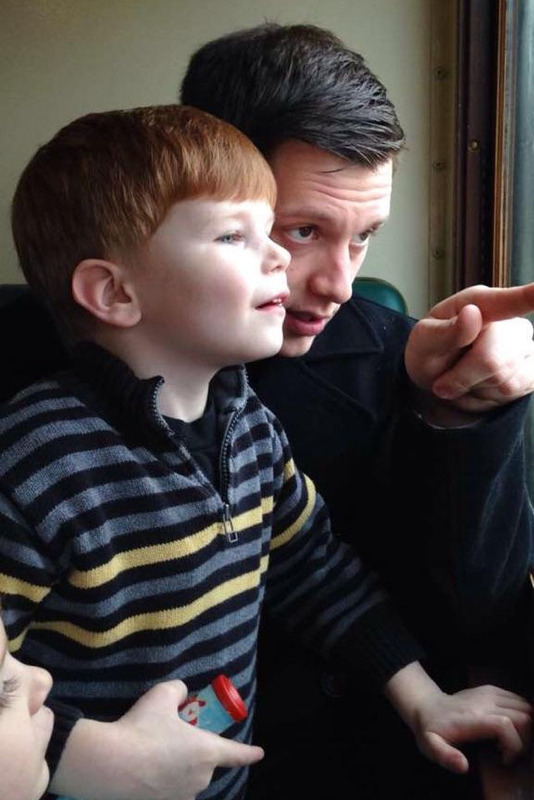 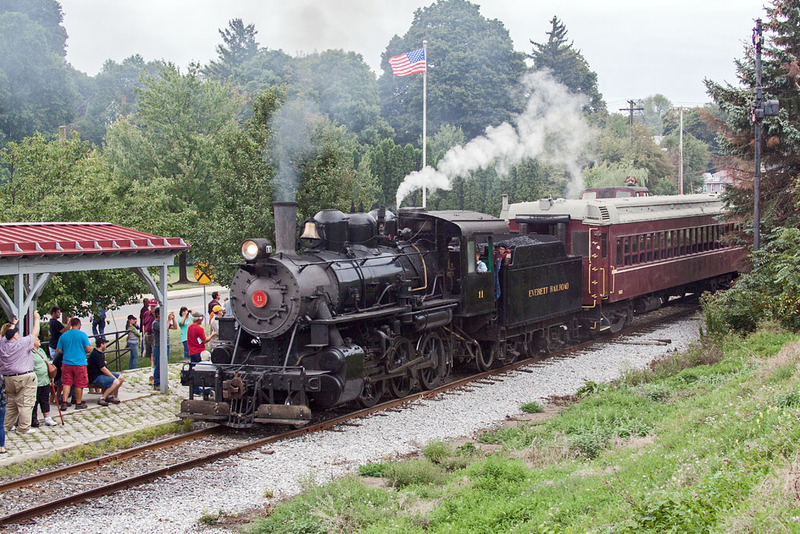 An hour-long steam-powered round trip between Hollidaysburg and Brookes Mills that the whole family can enjoy. 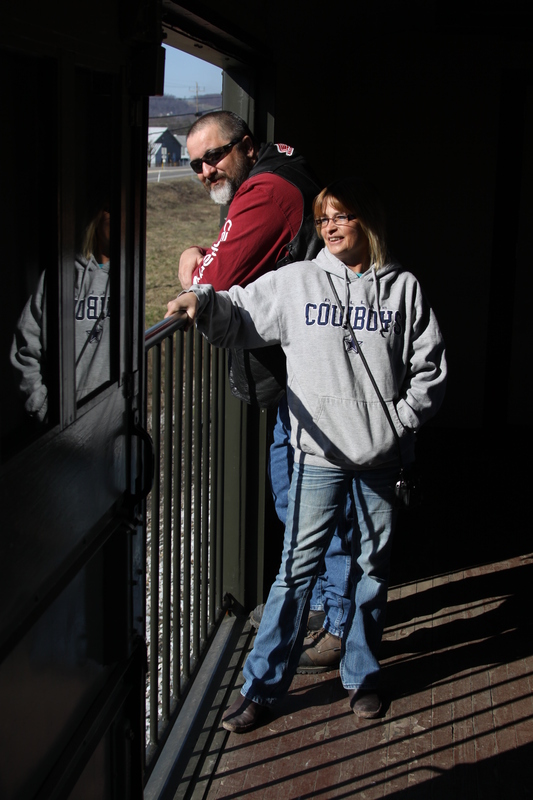 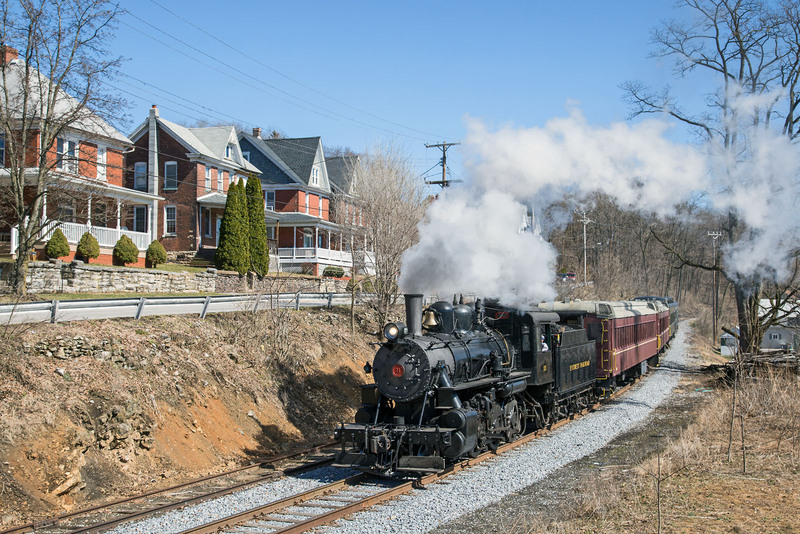 A two-hour steam-powered round trip between Hollidaysburg and Roaring Spring that includes a stop for ice cream at Roaring Spring’s restored Pennsylvania Railroad depot. 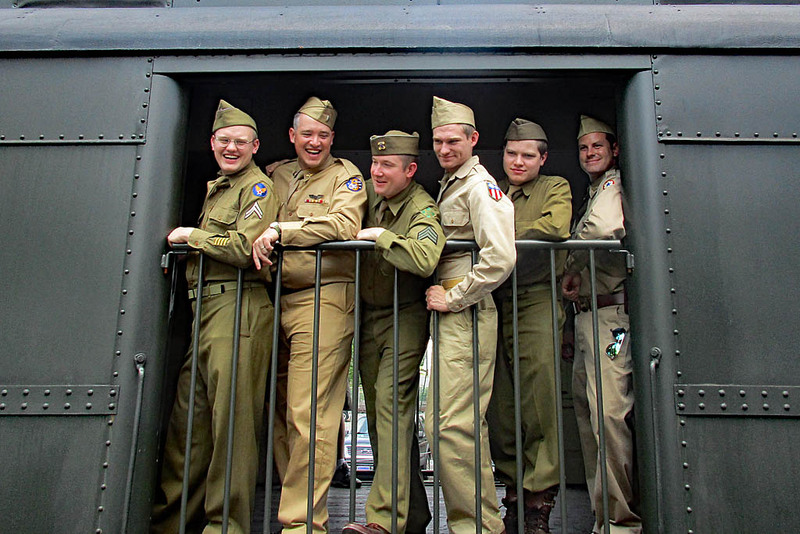 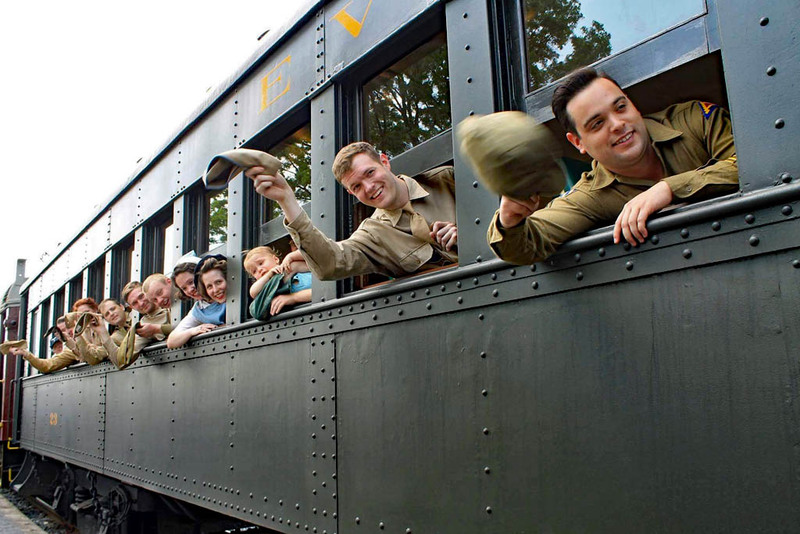 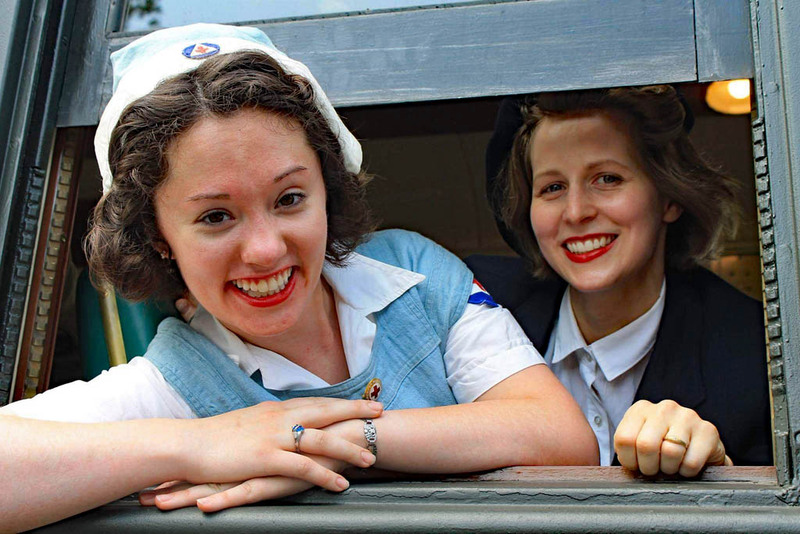 A one-day-only celebration of the Second World War, hosted in conjunction with the Blair County Historical Society. 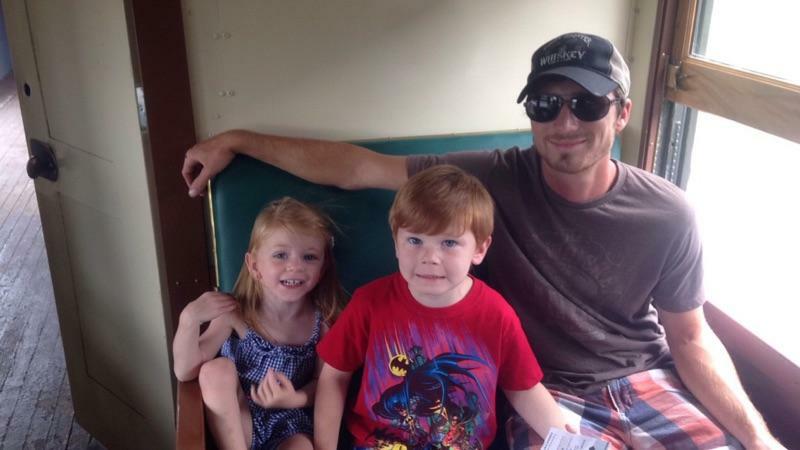 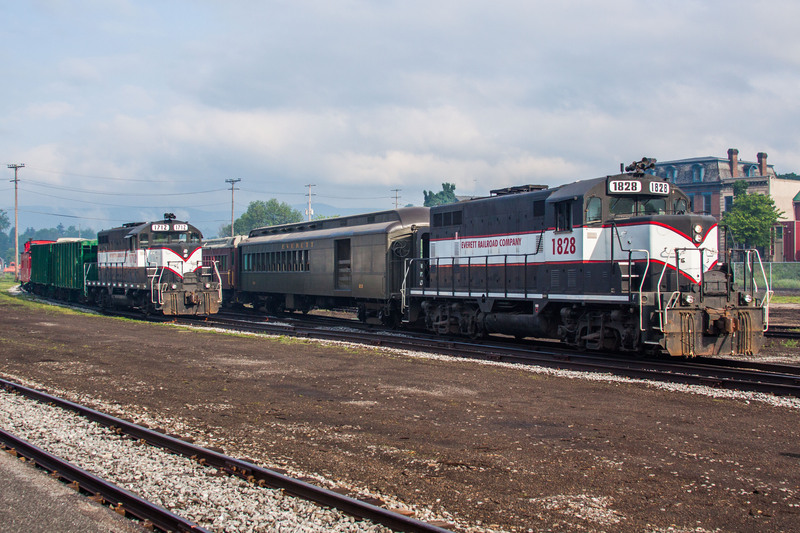 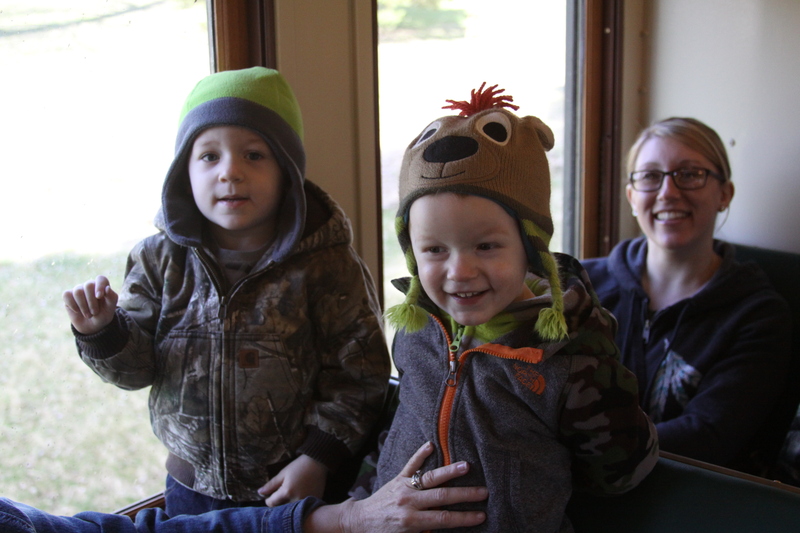 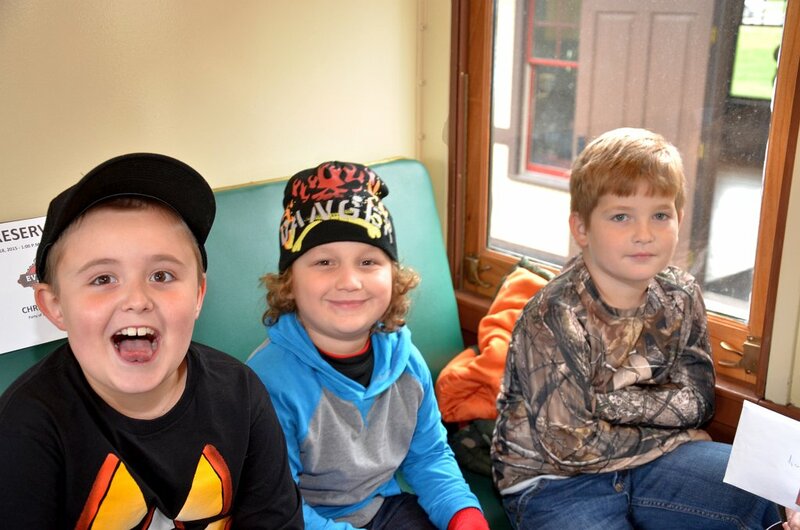 An hour-long diesel-powered round trip between Hollidaysburg and Brookes Mills that’s great for groups and field trips! 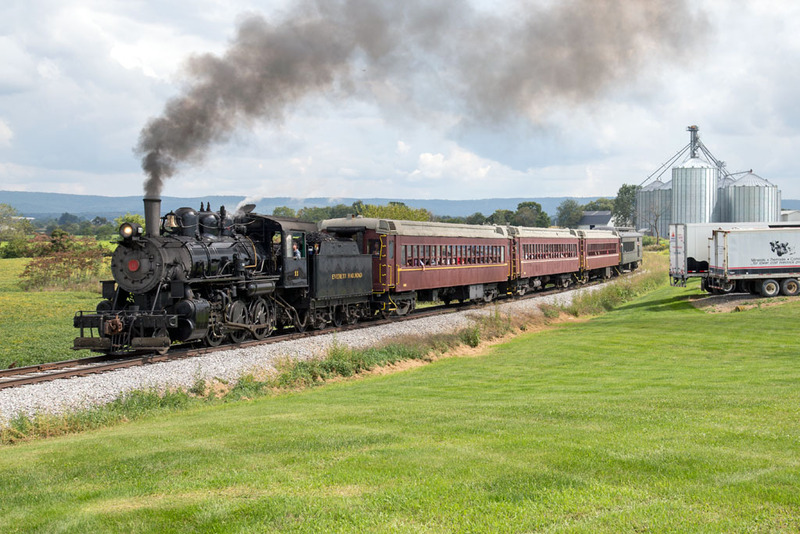 Beat the traffic and parking by riding a diesel-powered train from Hollidaysburg or Roaring Spring to Martinsburg to take in the sites and sounds of the famous Martinsburg Agricultural Parade! 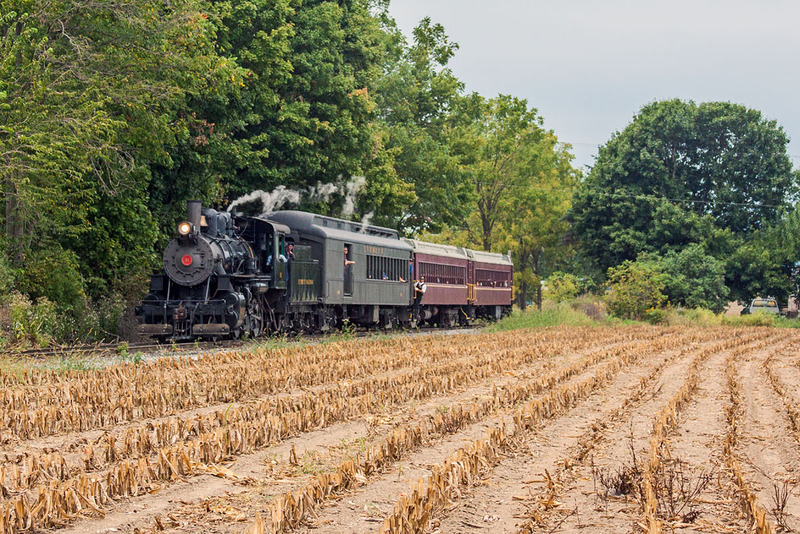 A special steam-powered excursion between Hollidaysburg and Martinsburg through the beautiful farmlands of Morrison’s Cove. 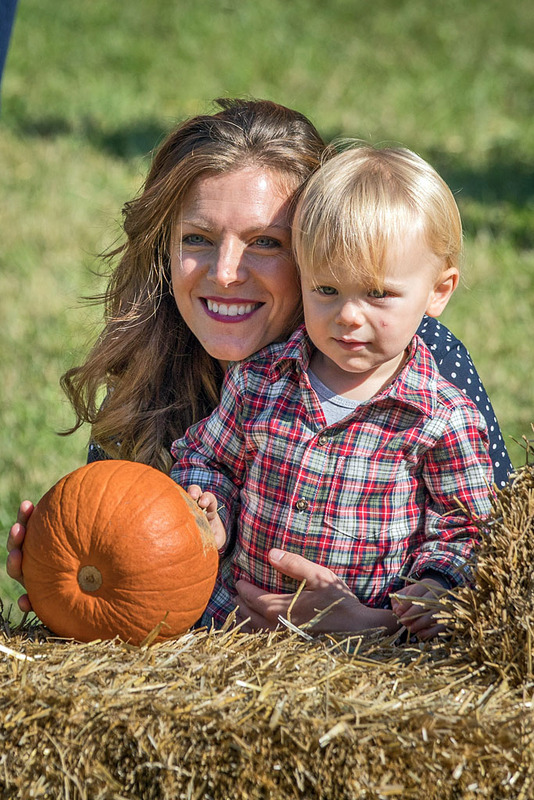 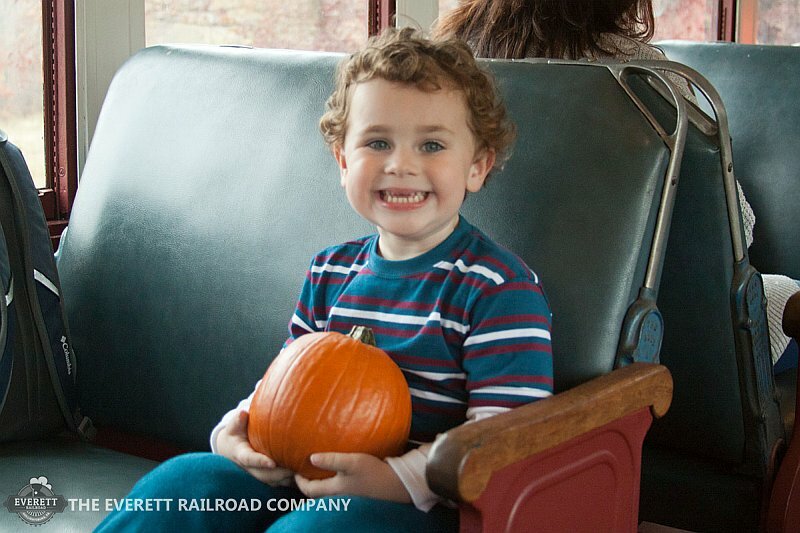 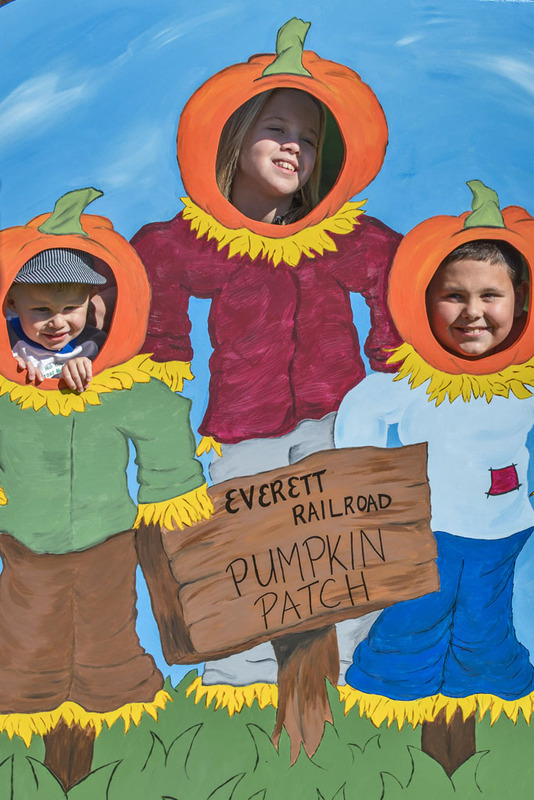 Ride through the woods from Hollidaysburg to our Pumpkin Patch at Kladder, where kids get to bring home and decorate a pumpkin of their own! 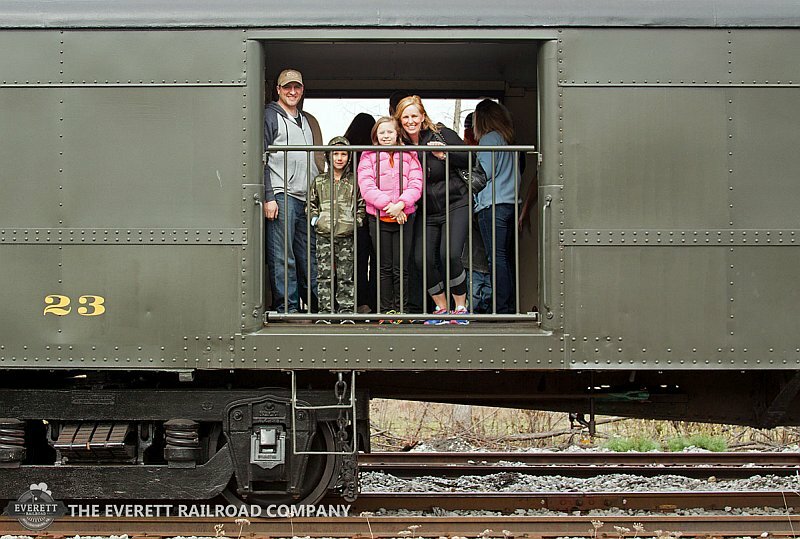 One of Central Pennsylvania’s favorite holiday traditions continues in 2019. 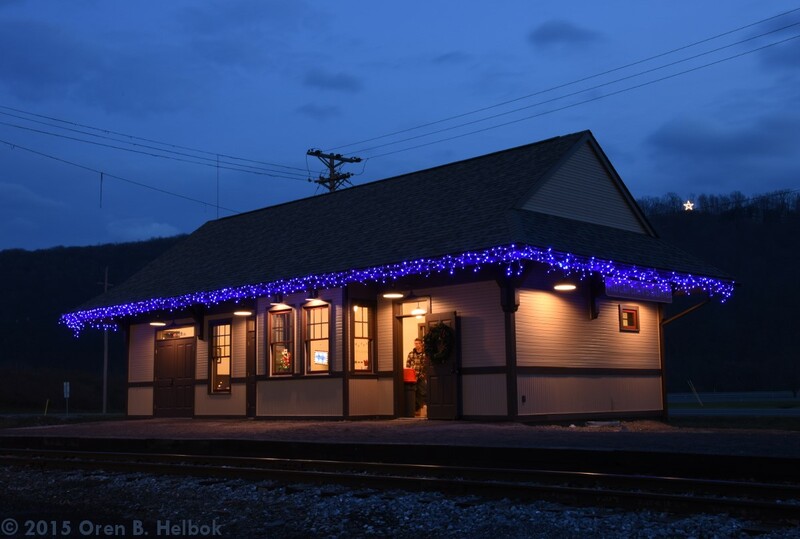 During select weekends in November and December, Santa visits the Everett Railroad in Hollidaysburg to ride his Santa Express Trains! 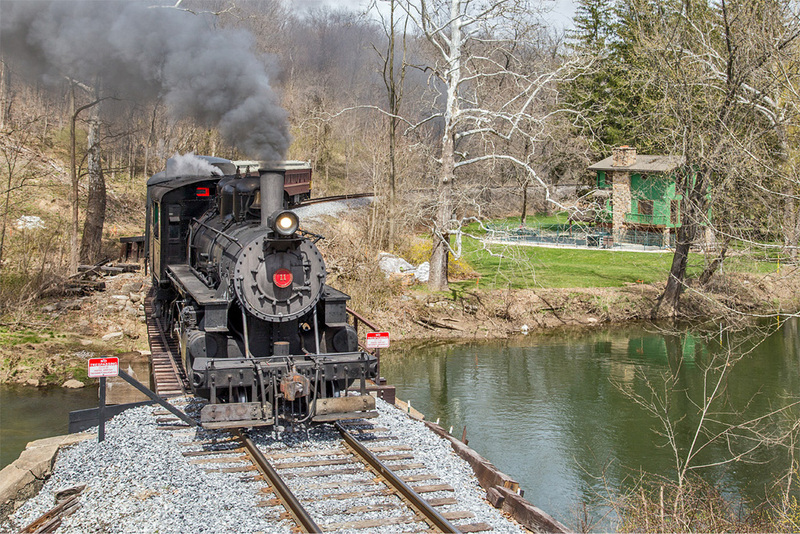 An hour-long steam-powered round trip between Hollidaysburg and Brookes Mills that the whole family can enjoy. 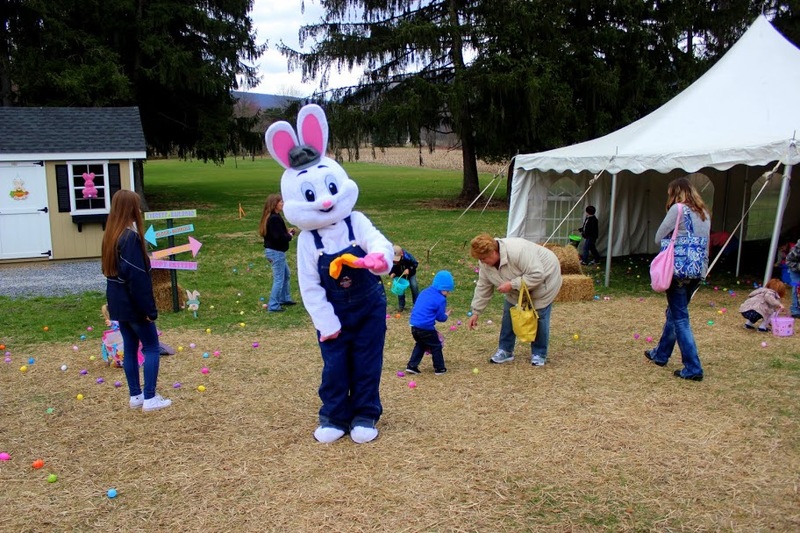 Returning in 2020.
or via phone at 814-696-3877.